(Montreal, Que.) Wheelchair Basketball Canada proudly announced the names of its major award winners and Hall of Fame inductees on Saturday evening at its 2017 annual awards banquet as part of the festivities of the 2017 Canadian Wheelchair Basketball League (CWBL) National Championship in Montreal, Que. Cindy Ouellet and David Eng were named Athletes of the Year and Alex Hayward was awarded Junior Athlete of the Year, while Pierre Poulin was honoured with the Leadership Excellence Award and Paul Bowes received the True Sport Award. Martine Talbot and André Ducharme were inducted into the Wheelchair Basketball Canada Hall of Fame in recognition of their outstanding contributions within the wheelchair basketball community. 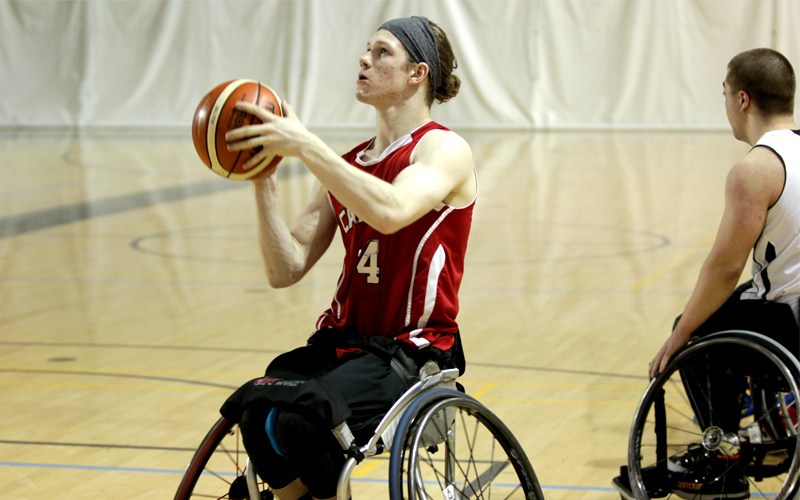 Junior athlete Alex Hayward has been on the rise within the Canadian wheelchair basketball community due to his commitment and talent. Alex represented his home province of New Brunswick at the 2016 Junior East Regional Championship, where he demonstrated exceptional leadership as he helped propel the team to a win in the gold medal match. Alex is a mainstay on the hardcourt at the National Training Centre as a member of the Academy program and is a solid candidate to don the maple leaf for the first time at the upcoming 2017 Men’s U23 World Championship in Toronto. Thanks to a strong performance for Team Canada on the courts at the Rio 2016 Paralympic Games, Cindy Ouellet has once again proved that she is a force to be reckoned with. The world champion and three-time Paralympian solidified herself as a top performer in the tournament by being among the top point producers and assist leaders. Cindy is also mainstay on the court for her club team in her home province of Quebec. 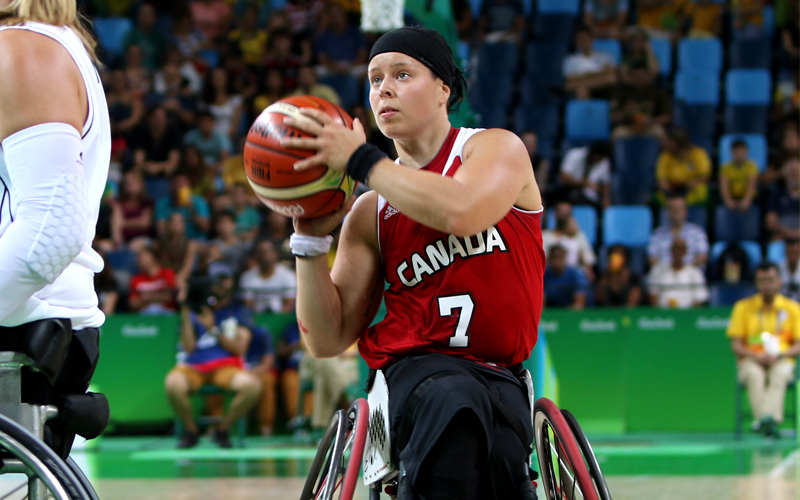 She was named as the tournament’s most valuable player while representing Quebec at the 2016 Canadian Wheelchair Basketball League (CWBL) Women’s National Championship and pushed the team to a first place finish. Last year David Eng’s leadership on and off the basketball court was recognized with one of the highest honours for a Paralympic athlete as he was selected to lead the entire Canadian Paralympic Team as the flag bearer at the Opening Ceremony of the Rio 2016 Paralympic Games. David was a worthy selection as flag bearer thanks to his positive attitude, his passion for the sport and his reputation as well respected and accomplished athlete. As co-captain of the Senior Men’s National Team he inspired his teammates and Canadian fans throughout the Paralympic Games. This year’s True Sport Award recipient, Paul Bowes, is adept at creating welcoming, positive and supportive environments that empower his athletes to shine both on and off the court. Just one month prior to the 2016 CWBL Women’s National Championship, Paul assumed the position of head coach of the Ontario women’s wheelchair basketball team. In this role he prioritized the transformation of the culture within the program, successfully creating an environment that values hard work, sportsmanship, commitment and respect. In the past year Paul also took on an assistant coach position with the Ontario women’s development team at the 2016 Défi sportif, spearheaded the team’s participation in the Spitfire Challenge and took on a coaching position at the Invictus Games. 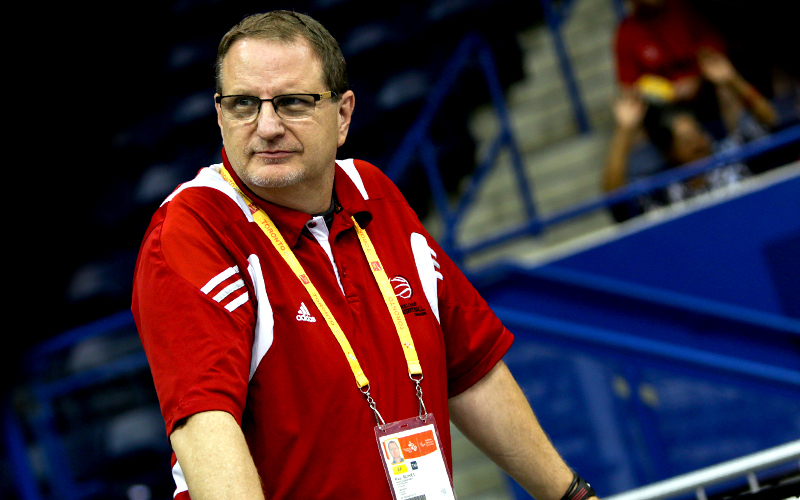 He also continues to coach within the Red and Black Aces program, where he contributes to the development of Canada’s top athletes. 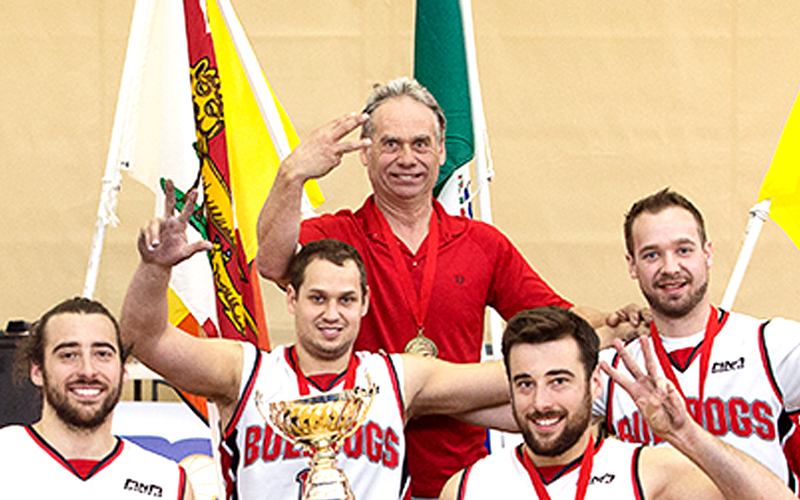 Pierre Poulin is an exceptional leader within Quebec’s wheelchair basketball community, having dedicated himself to the growth of the sport and the improvement of his athletes. For nearly 10 years, Pierre has been at the helm of the Bulldogs de Québec, working with players to develop their individual strengths and talents. 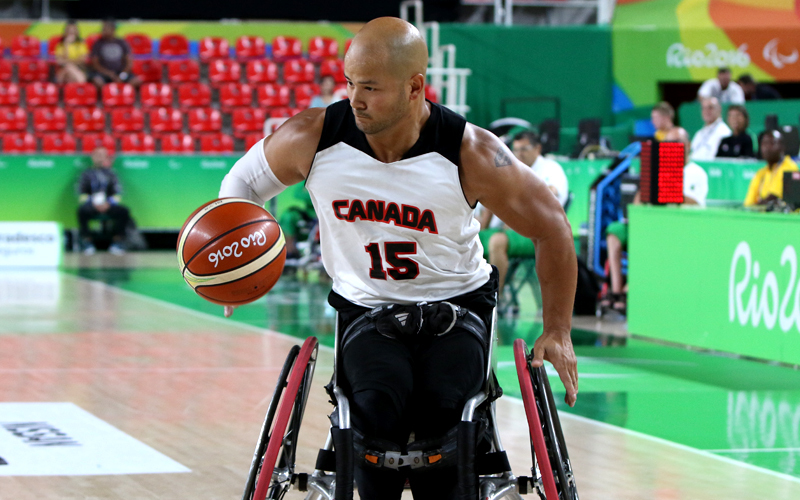 As the head coach he has led the team to a number of successful runs at the Canadian Wheelchair Basketball League (CWBL) National Championships. In 2016 the team claimed their third consecutive first place finish at the event, cementing themselves as one of the top teams in recent CWBL history. When Martine Talbot and André Ducharme established the Gladiateurs de Laval team in 1978 they could never have predicted the impact they would have within the wheelchair basketball community over the decades to come. 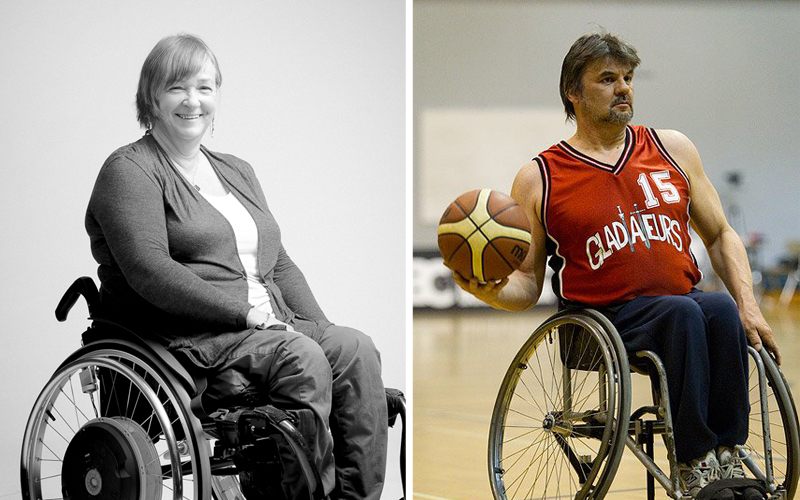 As players, coaches and board members, Martine and André dedicated over 30 years to wheelchair basketball. Since the inception of the Gladiateurs de Laval, they have been very active in growing the sport through community outreach and by championing the sport as ambassadors within Quebec.